Philomena is a drama starring Judi Dench and Steve Coogan based on the real life of Philomena Lee. A BBC reporter turned journalist decides to do a human interest story on a woman named Philomena and her search for her son, who was taken away from her decades ago after she became pregnant out of wedlock and was forced to live in a covent. One reason Philomena is such a powerful film is because it is based on a true story. Instead of a calculated formula with all the key ingredients to create the perfect recipe for a perfect movie, the filmmakers took risks and included things not exactly kosher and tackled subjects not exactly safe. The result? Sheer brilliance. The film is storytelling at its best. 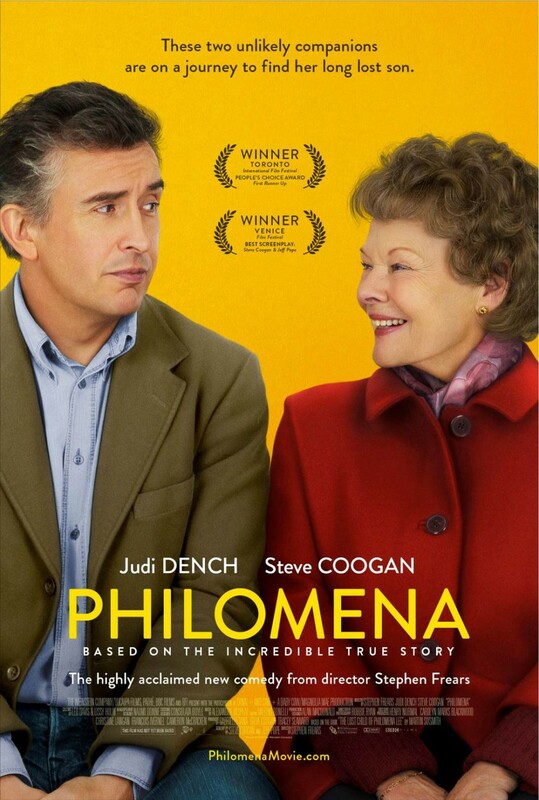 Judi Dench is spectacular and absolutely lovable as Philomena. She grabs hold of your heartstrings and does not let go. The chemistry between Dench and Coogan is refreshing, and they play off of one another wonderfully. Both characters are equally important to the story and average about the same amount of time on screen. Whether on screen together or separate, they flourish. 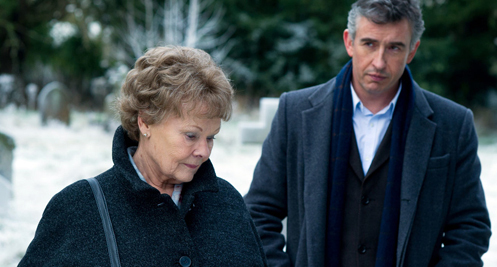 Philomena is simultaneously heartwarming and heartbreaking. The story is raw, real, and ultimately humbling. The film tackled huge taboo issues tactfully but potently while staying true to the personal story. The film thoroughly impressed me. Overall, I give Philomena 10/10 stars. In my mind, this film is one of the leaders in the pack nominated for Best Film this year.